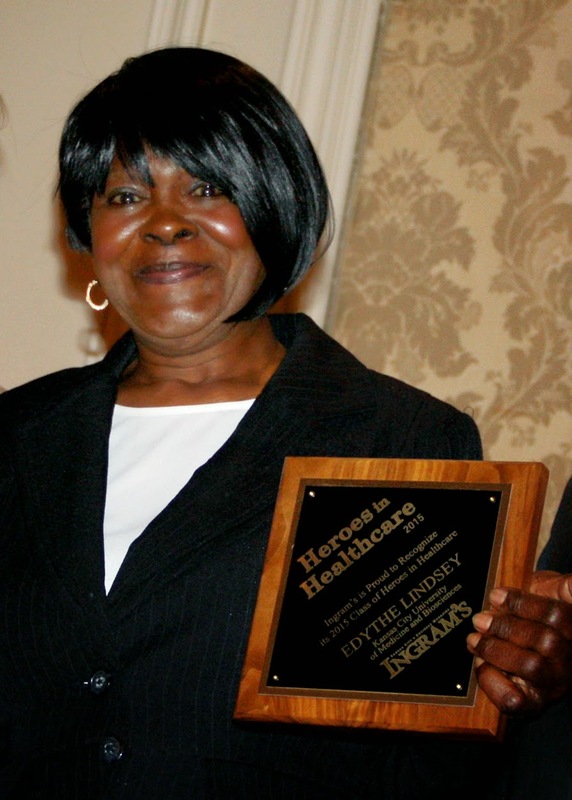 Two of KCU's own were among those honored March 24 as “Heroes in Health Care” for 2015 by Ingram’s Magazine. Gautam Desai, DO, and Edythe Lindsey were recognized during a reception earlier today at the InterContinental Kansas City on the Plaza Hotel in Kansas City, Mo. 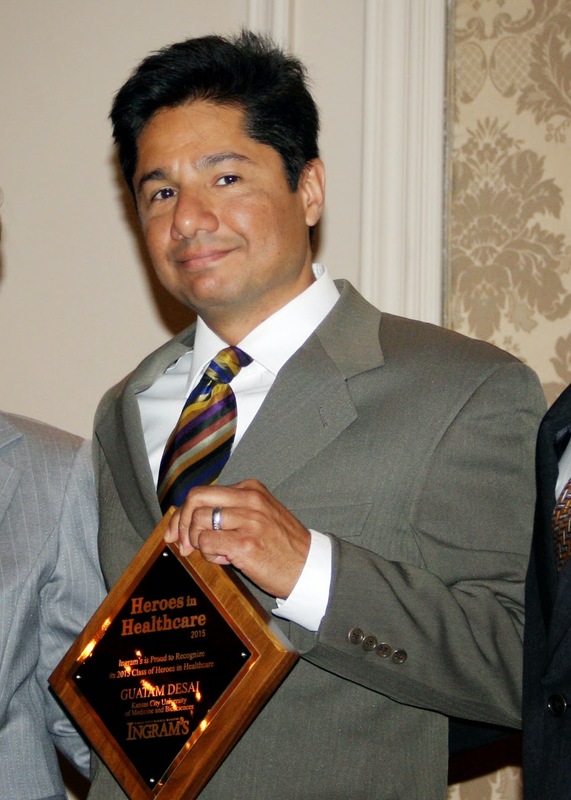 Dr. Desai was honored as a “Hero in Health Care” in the medical missions category. A member of the KCU faculty since 2000, he currently serves as professor of primary care medicine, in addition to leading the University’s new global health honors track. Over the past 15 years, Dr. Desai has participated in more than 15 medical missions through his work with DOCARE International and conservatively estimates that he and other volunteers from KCU have cared for approximately 50,000 patients during that time. Lindsey was honored as a “Hero in Health Care” in the auxiliary staff category. Lindsey, a building services custodian, has worked at KCU for more than 51 years. During that time, she has witnessed the growth of the University and experienced its many changes. She has remained loyal and dedicated to the University, she says, thanks to her love for the people at KCU, especially the students.